The first Illinois-Azerbaijan Agriculture Forum, jointly organized by the US-Azerbaijan Chamber of Commerce (USACC) and the Illinois Chamber of Commerce, will be held on April 4-5 in Chicago, one of the leading US financial and trading centers, Trend reports. 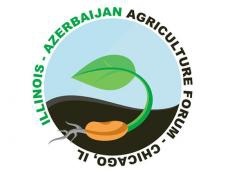 The main objective of the forum is to establish cooperation between the parties in the agricultural sector, bring together representatives of the agricultural businesses of Azerbaijan and the state of Illinois – one of the leading agricultural states of the US, introduce and familiarize with the goal of increasing yields with American-made technology, as well as with new methods utilized in various fields of agriculture. The organization of a trade mission to Illinois from representatives of companies operating in the field of agriculture in Azerbaijan is planned during the forum. All interested individuals and legal entities can take a look at the forum program on the following website (https://www.agroforum.us/), and join the trade mission after completing registration. The two-day program includes visits by representatives of Azerbaijani companies to leading manufacturing enterprises in Illinois, farms and research centers, as well as sites for the production of fertilizers and protein. The forum was organized by the Ministry of Agriculture of Azerbaijan, the Azerbaijani Embassy in the US, the US Embassy in Azerbaijan, the US Agency for International Development (USAID), the Illinois Department of Agriculture, the American Chamber of Commerce in Azerbaijan (AmCham), the European Bank for Reconstruction and Development, the CNFA company, Global Chamber, John Deere and Dentons with the media partnership of BrandBuild. The first Illinois-Azerbaijan Agriculture Forum will be organized within the framework of the program of the US-Azerbaijan Chamber of Commerce for expanding trade and business relations of Azerbaijan with the US states. The state of Illinois is one of the 10 leading agricultural states of the US. Acreage makes up 75 percent of the state’s land area. The annual profit of the state from the sale of agricultural products alone is $19 billion.